SUNROOF!! TRAILER TOW!! LEATHER TRIM PACKAGE!! Check out this Enclave LOADED with the Following Features! Blind Zone Alert, Universal Garage Door Opener, Automatic Headlamps, Daytime Running Lamps, Fog Lamps, Driver Information Center, Tilt and Telescoping Steering Wheel, Steering Wheel Mounted Audio Controls, Leather Wrapped Steering Wheel, Heated Steering Wheel, Color Touchscreen Radio, Bluetooth, USB Port, Audio Jack, Back Up Camera, Rear Park Alert, Automatic Climate Control, Tri Zone Climate Controls, Power Driver Seat, Power Passenger Seat, Leather Seats, Heated Seats, Power Windows, Power Locks, Power Mirrors, Keyless Entry, and Much More! You Always Get More From Les! 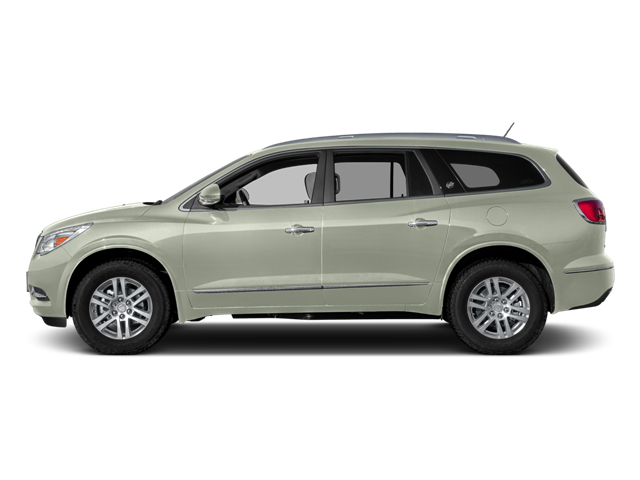 Our 2017 Buick Enclave Leather Group is primed for your driving pleasure in White Frost Tricoat! This All Wheel Drive crossover is motivated by a 288hp 3.6 Liter V6 that's matched with a 6 Speed Automatic transmission in order to provide impressive acceleration; and thanks to an innovative suspension, minimize impact and noise so you can peacefully enjoy 22mpg in any environment. Designed to fit your life, our Enclave Leather Group boasts thoughtful touches inside and out. Admire the beautiful 19 inch wheels, rear privacy glass and a power lift gate. The elegant leather-trimmed interior greets you with three generous rows of seating, and ample storage along with a wealth of amenities including a remote starter system, rear vision camera, heated steering wheel, tri-zone automatic climate control, a universal home remote transmitter, and an auto-dimming rear view mirror. Take your connectivity to the next level courtesy of Buick IntelliLink with voice control, a prominent touchscreen display, available 4G WiFi Hotspot, satellite radio, and more. Drive with peace of mind knowing our Enclave has received top safety scores and your loved ones will be safe and secure thanks to side blind zone alert, rear cross traffic alert, anti-lock brakes, stability/traction control, airbags, and OnStar assistance. Abundant in space, performance, and style, this is a superb choice for your active lifestyle. Print this page and call us Now... We Know You Will Enjoy Your Test Drive Towards Ownership! Hello, I would like more information about the 2017 Buick Enclave, stock# 15564. Hello, I would like to see more pictures of the 2017 Buick Enclave, stock# 15564.